The KPGA recently released its 2017 schedule, which showed that during the off-season, multiple negotiations took place to improve on last year, and so it has, quite emphatically. In 2016, the KPGA Tour hosted only 13 tournaments, but has confirmed 18 for this year, with the strong possibility of more to be added in the coming months. 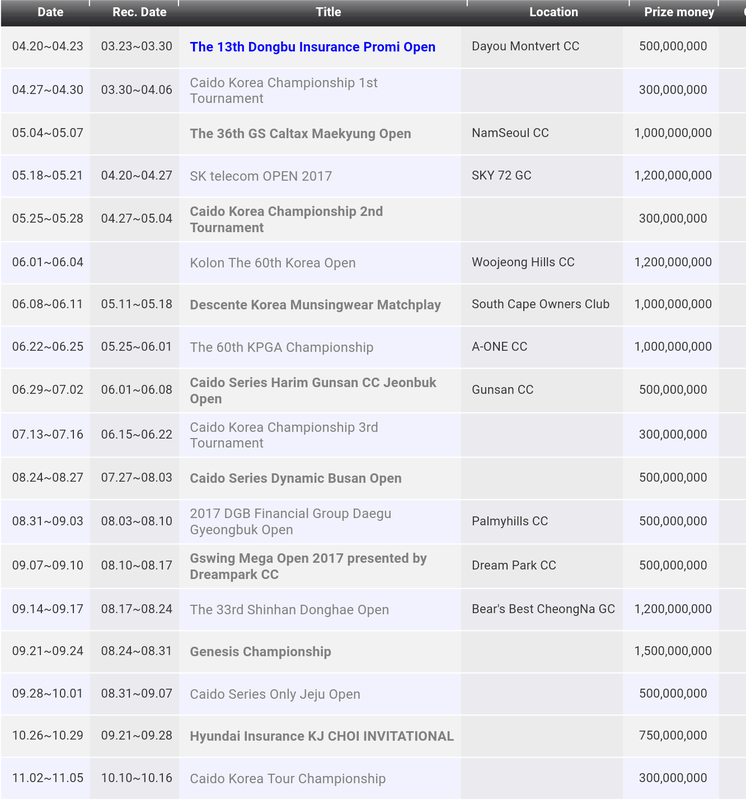 Caido Korea will now sponsor a total of seven KPGA events this year, amounting to 2.7 billion Korean Won in prize money. This is a major boost for the KPGA and its players. In addition to this Genesis have agreed to launch a new tournament, the Genesis Championship in September. This is sure to attract all of the top Korean players, with prize money of 1.5 billion won on offer. Another new tournament to be added, in addition to the aforementioned, is the Gswing Mega Open, which will be played at Dreampark CC in September. 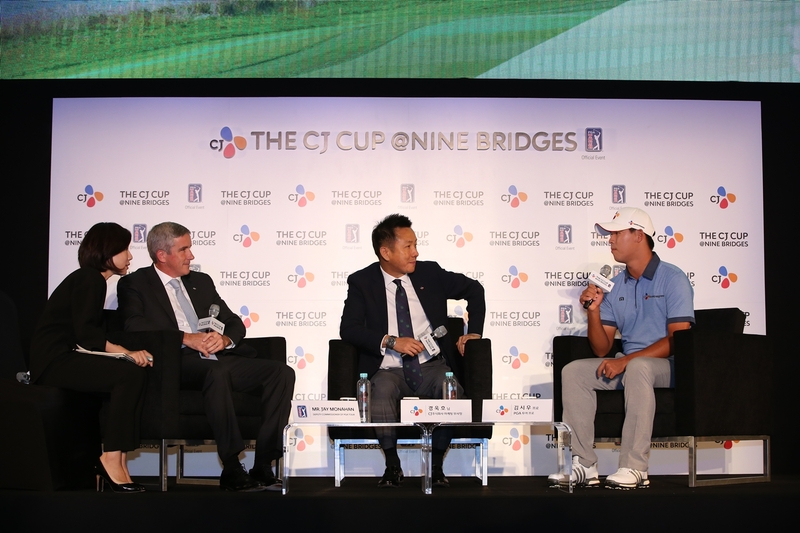 With all the main tournaments from last year back on the schedule, 2017 is turning out to be a major boost for Korean mens golf, with the inaugural PGA Tour CJ Cup this October adding to the progression this year. The KPGA season will once again commence with the Dongbu Insurance Promi Open. 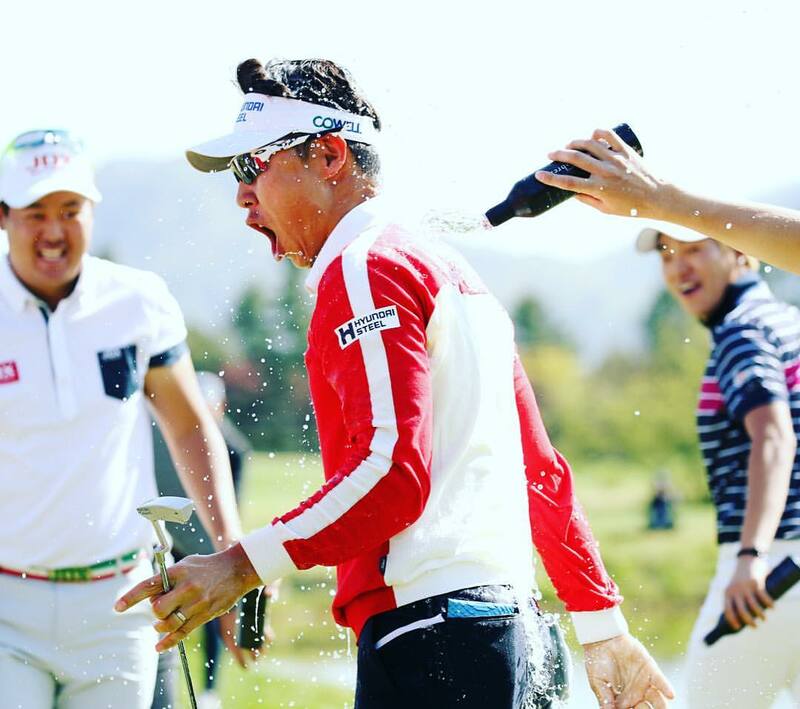 Defending champion and 2016 Player of the Year Jinho Choi will be hoping for a similar outcome this year.